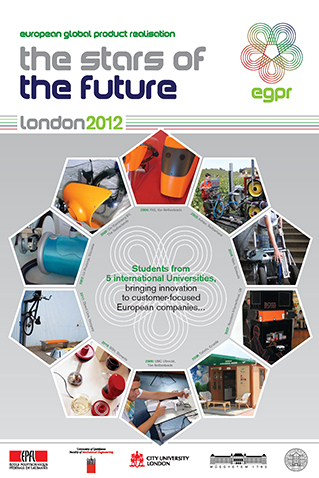 EGPR 2012 was hosted by University of Zagreb's Faculty of Mechanical Engineering and Naval Architecture. The partner of the project was Suman d.o.o., the largest Croatian manufacturer and distributor of awnings, sunblinds and other products for protection from the sun. The task was to increase business opportunities for Suman d.o.o. by the design and optimisation of parasol products. In 2012, four universities from different countries took part in this project. There were five teams and all of them made an operable prototype of their final concepts with the cooperation of Suman d.o.o..
From February 2012 five international student teams were engaged in the development of new business opportunities for the partner company and in the week from 10 to 15 June, they met face-to-face to build the prototypes of the products they developed during this one semester course. 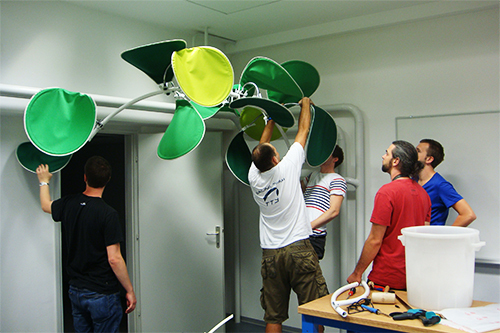 The final event was held at the University of Zagreb on Friday 15 June, where five working prototypes were presented to the public. Some snapshots from the final workshop are displayed below. By 2012, City, University of London engineering students had been part of a wider European Academic Virtual Enterprise for eight years.